It all began in 2004 when Chris Hasling, after acting as a community recycling volunteer and as a compost advisor in the South East, realised that more people would start recycling and existing recyclers recycle more if it was made easier, tidier and even stylish. Being single at the time it seemed an easy decision to sell his house and buy in stock of recycling bins, can crushers and other tools to make recycling easier. Chris set up in his parents’ double garage in the North East – which, understandably, they weren’t very impressed with! Within months he had run out of space and bought a couple of 40′ shipping containers to hold more stock. By the middle of 2005 larger premises were needed and the company moved to Sowerby Bridge. 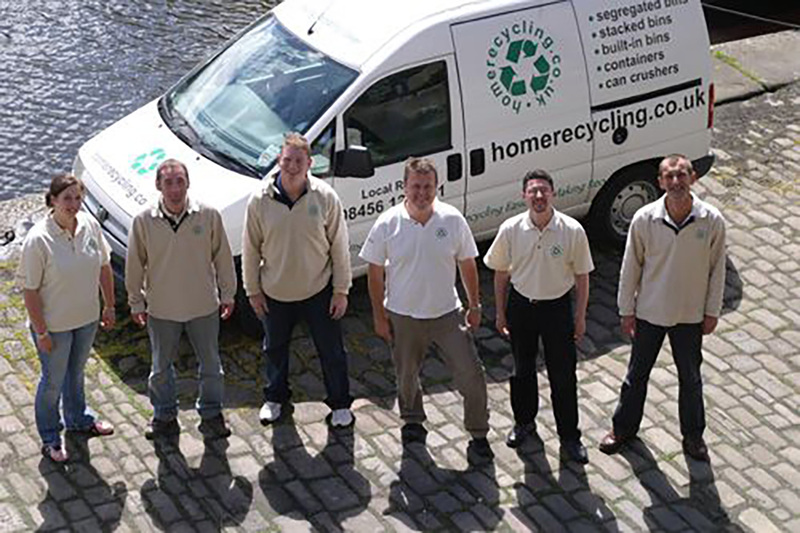 Now employing 6 people, the company operates from a stunning glass-roofed, converted Sunday School overlooking the Rochdale Canal and has provided over 100,000 recycling bins and can crushers to make recycling easier.